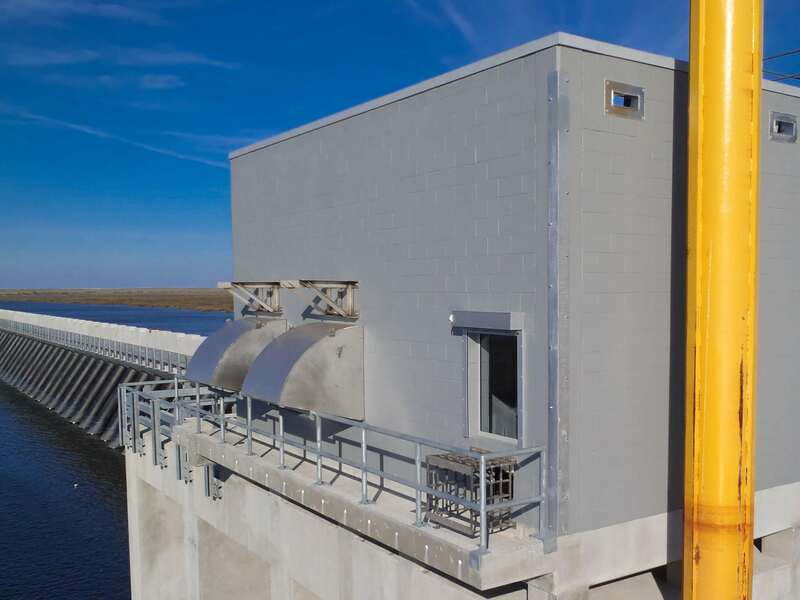 The Bayou Bienvenue Vertical Lift Gate Control House consisted of the construction of a 750-square-foot concrete masonry unit control house as part of the Inner Harbor Navigation Canal (IHNC) Hurricane Protection Project in St. Bernard and Orleans Parishes. 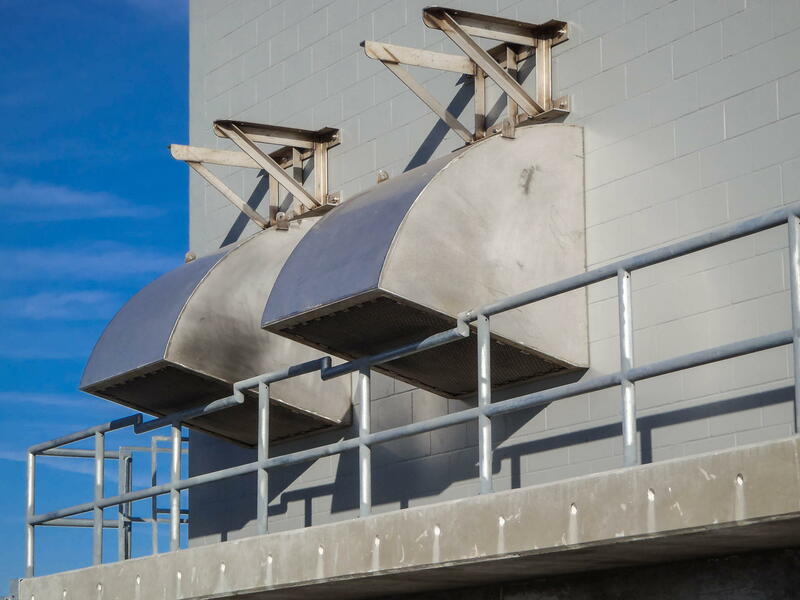 Gibbs constructed the foundation columns and the foundation slab, installed and sealed all windows, window storm shutters, doors, intake/exhaust louvers, electrical blockouts, ladders, and roofing, and applied all required coatings. 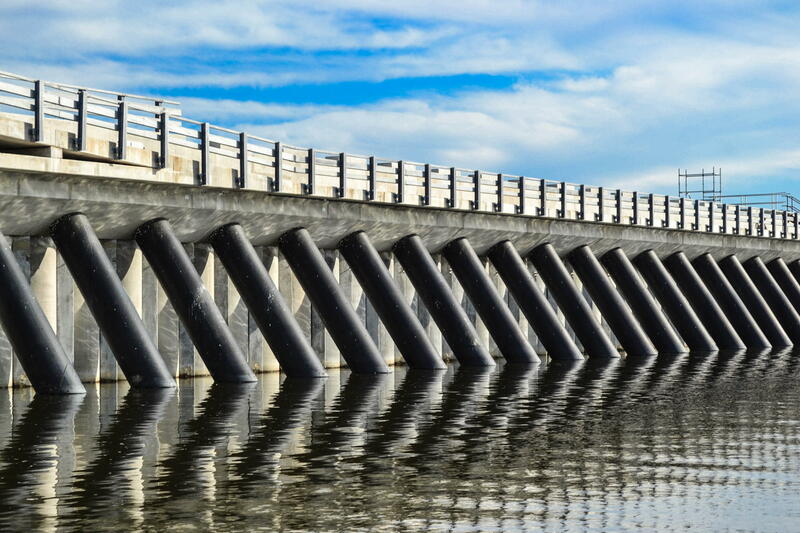 A logistical challenge, the project was only accessible by boat because the site consisted of open water and marshland. 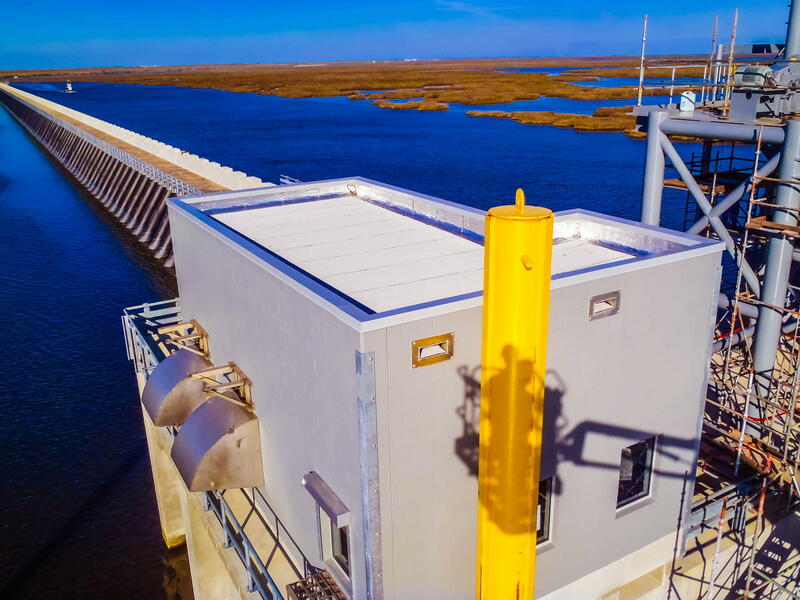 Gibbs was responsible for providing boat access to the site and coordinating the access with the prime contractor, Shaw Environmental & Infrastructure. All material had to be transported to the job site on a barge. A crane sitting on a barge was stationed next to the gate house to lift material up to the slab. Even concrete trucks had to be put on barges and transported to the site for concrete pours.